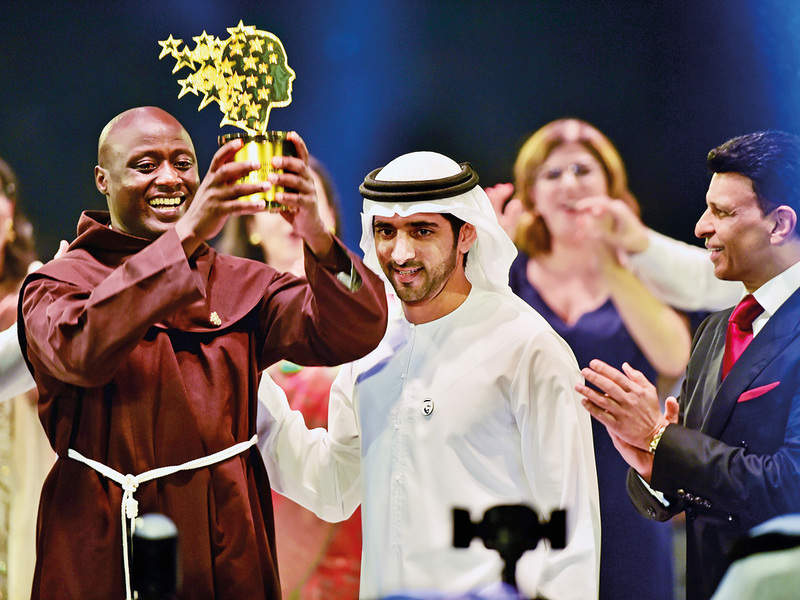 Dubai: Peter Tabichi, a maths and physics teacher from Kenya, gives 80 per cent of his salary to the poor. He also declared it as a "victory for the whole world". Tabichi said he was surprised and honoured with the victory. Hollywood star Hugh Jackman surprised the audience by making an appearance and performing on stage after at first leading them to believe he couldn’t make it to the event in a video address. “It only takes one teacher to bring you back to life,” he said between song and dance performances. He said “the real stars are these 10 teachers on the stage tonight”. Jackman also met each finalist to praise them, and tell the audience about their contributions to students. Also attending were education officials, guests and Sunny Varkey, founder of the GESF, which is also organised by Varkey Foundation.